The app has a lot of potential but things are clunky when it comes to viewing in HTML browsers and basic things like a US date format MM/DD/YYYY aren’t working so I can’t recommend it. I have sent reports I don’t know how many times about a note for that I have that I have this running on and I get no support. Absolutely none considering that I am paying for an app that just doesn’t work 35 to 40% of the time you would think after I have complained I don’t know how many times that they would try to look into it and fix the problem. They don’t seem to help anybody who sends them problem reports and tells them what the problem is you never hear back from them. The Apple version of the app doesn’t work the same as the android version of the app it’s very confusing. Colocar o registro de insulina ativa para quem usa bomba na mesma hora que mede a glicose e insere no Diabetes M também. 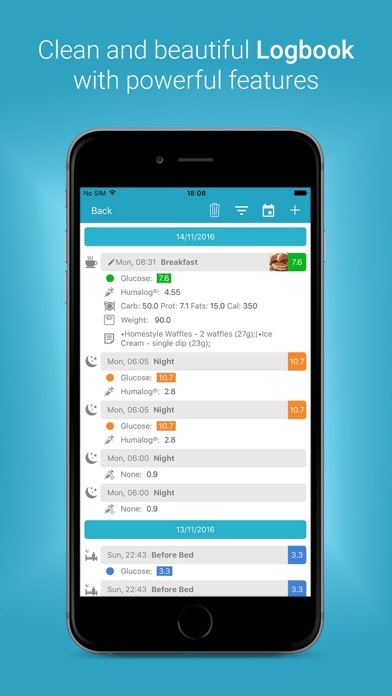 Please add FreeStyle Libre support! FreeStyle Libre has been around for over a year in U.K. please add support. Now supported in the US as well! I love this app. It is so much more functional than any other logbook or diabetes monitor I’ve used. It’s totally worth the subscription. The only issue so far (which I think I’ve seen other comments on) is that two weeks in, I still haven’t received a confirmation email so I can verify my account. I’d like to get that detail out of the way so I won’t be prevented from using whatever functions depend on having a verified account. This is a great app but data entry can be awkward. I have requested that on a near future update that a Next button be included. Until the Next button is added I will use my android to enter data. 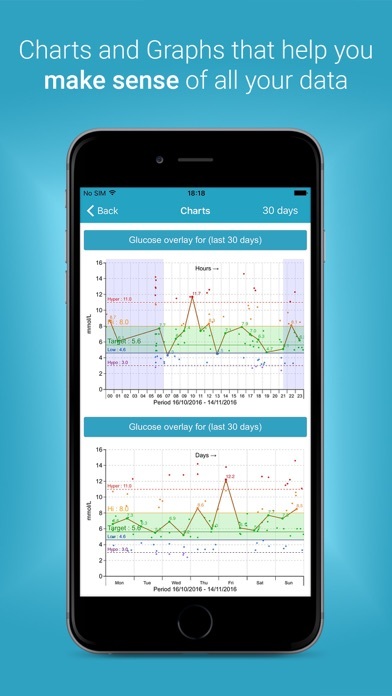 This app has helped me and my Doctor to better track my blood sugar levels! I highly recommend it for its use and accuracy allowing for a healthier life!